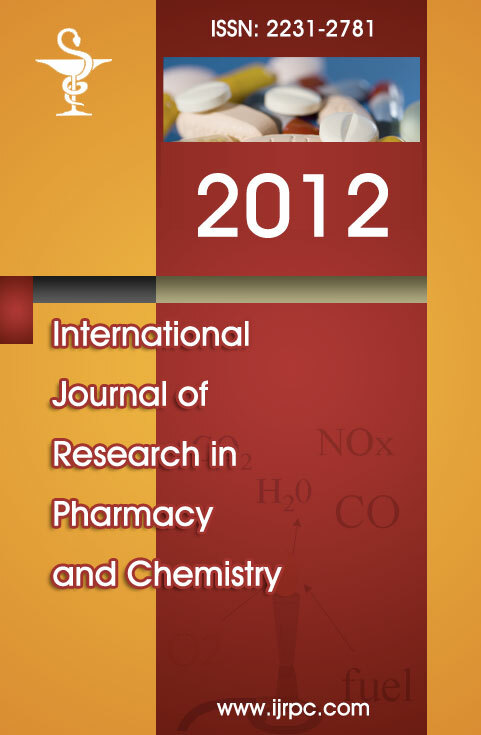 International Journal of Research in Pharmacy and Chemistry (IJRPC; ISSN 2231-2781) is an open access peer-reviewed online international journal published quarterly. The primary objective is to become the premier source of high quality research from the entire world. The scope of the IJRPC is to publish articles in the area of Pharmaceutical Sciences like Pharmaceutical Chemistry, Pharmaceutical Analysis, Pharmaceutics, Pharmacology, Pharmacognosy, Pharmaceutical Biotechnology, Pharmaceutical Technology, Biopharmaceutics, Pharmacokinetics, Pharmacodynamics, Industrial Pharmacy, Drug Design, Quality Assurance, Drug Regulatory Affairs, Phytochemistry, Drug Delivery Systems, Pharmaceutical Nanotechnology, Pharmaceutical Microbiology, Hospital Pharmacy, Clinical Pharmacy, Pharmacy Practice, Drug Discovery, Drug Metabolism, Toxicology, Clinical Research, Pharmacogenomics, Pharmacoinformatics, Pharmacovigilance and Chemical Sciences like Medicinal Chemistry, Organic Chemistry, Inorganic Chemistry, Physical Chemistry, Analytical Chemistry, Phytochemistry, Biochemistry, Industrial Chemistry, Structural Chemistry, Green Chemistry, Photochemistry, Environmental Chemistry, Agricultural Chemistry, Soil Chemistry, Polymer Chemistry, Macromolecular Chemistry, Computational Chemistry, Petroleum Chemistry and Chemical Engineering. The aim of IJRPC is to publish original research articles, reviews and short communications. IJRPC provide a platform to all scientists, researchers, academicians, industrialists and readers to share their ideas, knowledge, information and research findings among the people of their own fraternity. The major emphasis will be on publishing quality articles rapidly and making them freely available to researchers worldwide. 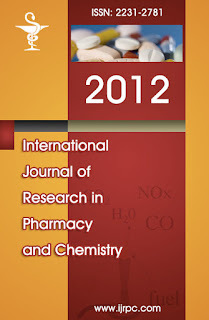 IJRPC allowing free full-text access and devoted all fields of Pharmaceutical and Chemical Sciences. THIS JOURNAL IS INDEXED IN PSOAR (PHARMACEUTICAL SCIENCES OPEN ACCESS RESOURCES).